You may have noticed the hard-rocking guitar riffs on BendBroadband’s new TV commercial. 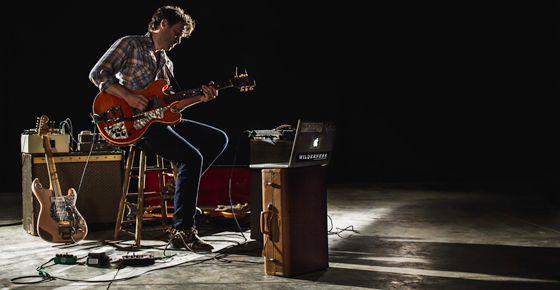 Shot in our Bend studio, the commercial features Jared Nelson Smith of the band Wilderness. The album is a testament to how technology is enhancing songwriting and the music industry today. Jared recorded the songs in Bend and then had the tracks mixed and mastered in Chicago. The Internet made it possible for Smith to review the mixes as they were created so he could give the producer input in near real-time. The launch of the new album is just the start of a long process that is managed via the Internet. Smith says the Internet is also a great tool for booking shows. If you want to know more about Smith, Wilderness and how they use the Internet to perfect their performance, check out BendBroadband.com/Rockon and watch our interviews with Jared.